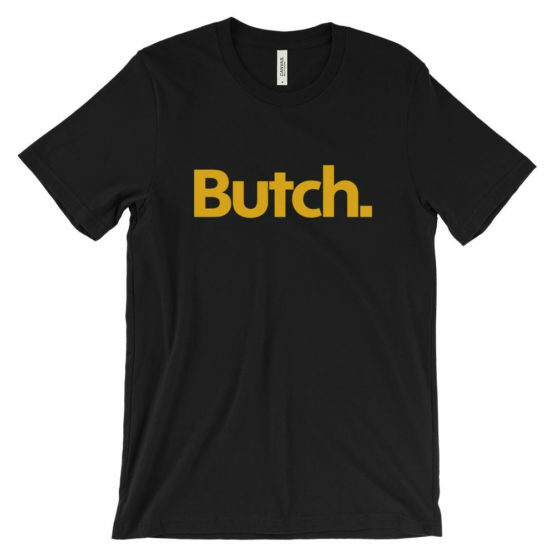 Home / Other Unisex Adult Clothing / Butch. 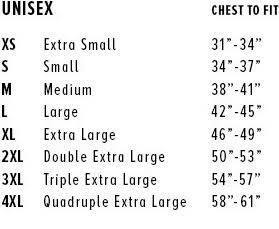 Tshirt Black | Tomboy. Tomboi. Lesbian. Dyke. Gold, yellow text. Butch. Tomboy. Tomboi. Lesbian. Dyke. You may even want to wear it to show you are anything but…..or maybe you just like the label! Any which way, wear the tshirt and be proud of who and what you are. This super-soft, baby-knit t-shirt looks great on both men and women. It is an updated unisex tee, which fits like a well-loved favourite. 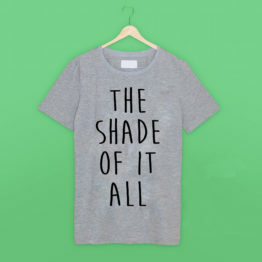 Made from 100% cotton, except for heather colours, which contain polyester.